Well, there's no secret - I'm quite partial to chocolate. Whilst I don't eat entire chocolate cakes or block after block of chocolate, I do like a chocolatey treat when I feel like it - and I'm sure you do too! In the spirit of Easter and all of it's chocolate coma inducing love, I thought I'd share with you some of my favourite chocolatey treats - and there's no chocolate eggs in sight! I'm breaking tradition because, well, I don't even really like Easter Eggs! As a kid, I waited all year for our Easter Egg hunt and I was so excited to have lots of little chocolate filled eggs - but I don't ever remember eating them all. I can always remember the "lolly jar" in the top of our pantry being filled with Easter eggs for months afterwards because we grew tired of them (it would have been years if they didn't get thrown out just before Easter each year). Weird kid? Possibly... We were fussy chocolate eaters too - shunning everything but the melt in your mouth Cadbury Dairy Milk Eggs - but even they get sickening after you've had a few. These days, we don't really buy Easter Eggs (unless it's to put on the table when we have friends over) and we indulge our Chocolove in other ways. To me, healthy eating is about balance - so when I feel like a chocolate or sweet treat, I'm going to have it - it's all about moderation. So here are some chocolatey treats you can indulge in, year round! The weather is going to start getting colder in Sydney - and that has me clutching at hot tea and hot chocolates to keep me warm. One of my favourite "Healthy Hot Chocolate Recipes" (I say it like that because it's so simple, you can't call it a recipe) is for an Almond Milk Hot Chocolate - but you can also use regular milk. Mix the cocoa powder with a bit of boiling water to make a paste, add in the maple syrup (or sweetener of choice) and stir in your almond milk. Microwave for 1 1/2 - 2 minutes or until it reaches your desired heat. And there you have it - hot chocolate! If you like a richer chocolatey taste, add more cocoa powder and if you like things sweeter, add more maple syrup. Just play around with it until you find what you like! Almond Breeze have gone one up on me with the launch of their New Chocolate Almond Breeze in Australia. It's deliciously chocolatey and creamy - but a little too sweet for me - but that's easily solved by using 1/2 chocolate Almond Breeze and 1/2 unsweetened Almond Breeze. Well, I don't know about you, but I've never been to heaven (I sure hope you haven't been!) - but I'm certain that Cadbury Philadelphia is pretty damn close. It's creamy, chocolatey and perfect for using as a quick frosting! I have been loving topping my healthy muffins with a dollop of Cadbury Philly when I'm in need of something sweet. The consensus? We are loving it on my; Polenta Banana Muffins, Secretly Healthy Double Chocolate Brownies (as seen above - you can leave the choc chips out as the philly is sweet and chocolatey enough), Banana Brownies, Vanilla Yogurt Cake and Banana Muffins. Basically, it's just incredulous - that's actually a word and it means "Unwilling or unable to believe something" - also known as, ridiculously good! What's easter without chocolate? Whilst I'm not a big fan of Easter Eggs I am a big fan of chocolate - and a bit of a chocolate hoarder. The above collection is what is currently sitting in my pantry - and this is just my stash. There are 4 blocks of 85% (my fave! ), 2 blocks of 70%, a touch of sea salt, mint chocolate and coconut chocolate - all lindt and all amazing. Don't get too excited, Aussies! Chobani hasn't launched a new chocolate flavour but Kristy's kitchen has ;) One of my favourite chocolatey snacks is Chocolate Chobani - and it's so simple to make. Either take hot chocolate mix or cocoa powder with a sweetener of your choice (I use maple syrup) and mix it with some Chobani and there you have it! I find it tastes best with the 2% - but it's up to you! 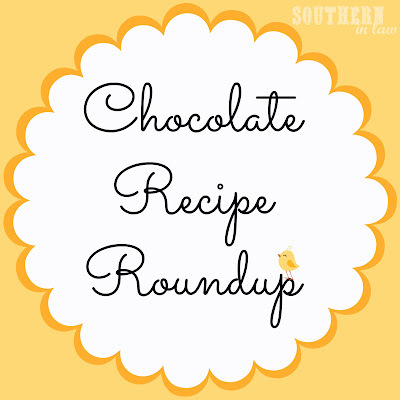 And of course, you can't forget my Chocolate Recipe Roundup - featuring a whole bunch of chocolatey recipes that are perfect for Easter! Kristy has not received compensation for any of the inclusions in this post - all opinions are her own and have not been influenced by the companies associated. Kristy purchased Chocolate Almond Breeze, Lindt Chocolates and Chobani herself and has not received anything from either company for this review. Kristy received Cadbury Philadelphia samples with compliments from Kraft Australia. I also love the cadbury philadelphia cream cheese! I just found that a couple of weeks ago...obsessed! I am a Chobani addict ;P I can't have any of the flavours, but I love the plain chobani (and then add my own additions!) it's also superb in baking!